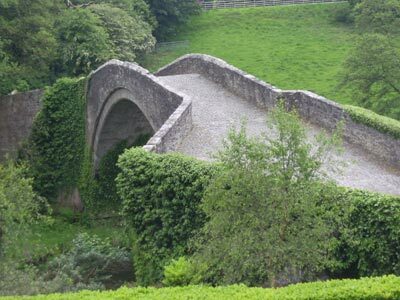 Which bridge features in Burns’ poem ‘Tam O’Shanter’? The answer, of course, is “Brig O’ Doon. If you’d been asked this question while playing Scottish Quest family board game, you’d have noticed a black dot next to the question. Locating the question in the supplied Quest Book gives you more info on the answer! This bridge features in the climax of Burn’s famous epic poem ‘Tam O’Shanter’ where Tam’s horse Meg leapt for freedom, leaving her tail in the clutches of the Cutty Sark witch. The witch was unable to cross the bridge due to the running water underneath. Get daily Quest Quiz Questions from Scottish Quest, test your knowledge of Scotland! Follow us on Twitter and became a part of our community on Facebook.